Susan McCreery is a writer from Thirroul, NSW. Her microfiction has been published widely. 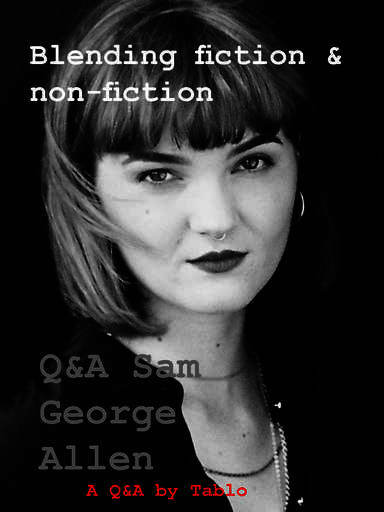 Her short fiction have been published in Sleepers Almanac, Award Winning Australian Writing (2010, 2012, 2013), and Island. She was awarded an Australian Society of Authors Mentorship in 2014. LOOPHOLE, noun. 1. An escape route from a sticky situation. 2. A chink in the system that allows us to circumvent or avoid consequences. 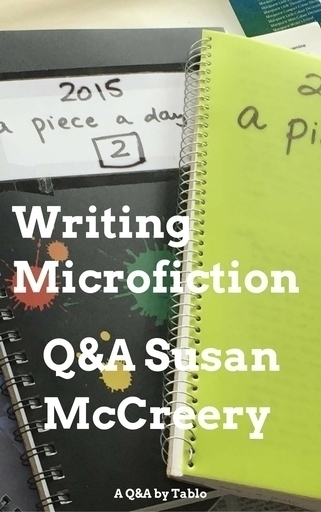 This Q&A with Susan McCreery has been edited from the Tablo discussion in the Spineless Wonders space. The questions were from a range of writers connected to the Spineless Wonders community – specific names have not included here. You have published a collection of poetry and your short stories have been widely anthologised. How long have you been writing microfiction and how did you first get into it? Microfiction sort of found me. Through comps and publishing opportunities. Run by fabulous people such as YOU! Back in 2014 I think. Joanne burns award, Writing to the Edge. The PCWC (Peter Cowan Writing Centre) in Perth has a 600-word comp and I entered 2 stories – one of them won, the other HC. So I'm very grateful to publishers and competition organisers. Why have you called this collection Loopholes? I brainstormed a lot of titles. Terrible ones! Like Morsels, Bycatch, Fissures, Cuttings. Tried out a couple of story titles as a book title. Loopholes seemed to fit on several levels. It’s a narrow opening to look through, let light through. It’s an outlet. It’s an escape clause. Many of the stories leave us with the question will they escape/leave/walk out? And the reader gets to peep into their lives. 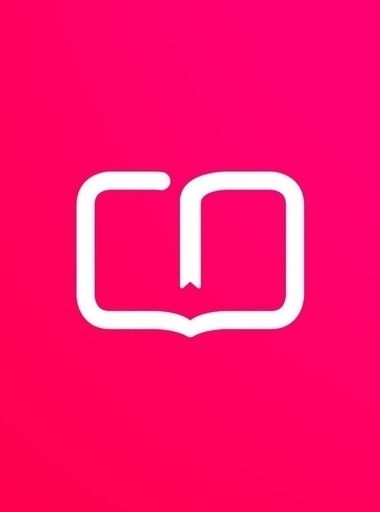 Can you please explain the difference between microfiction, short stories, flash fiction? I think there are a few different terms for this really short form – microfiction, microlit, flash fiction, short-short stories. These are the ones I know about, anyway. Bron (my publisher) decided that Loopholes would only contain stories under 250 words. I’d submitted longer ones – up to 800 words I think. I’d still call these microfiction. Not sure where the cut-off is, maybe 1000 words. This would have to be short story territory. There feels to be a difference between microfiction and very short stories which is more than simply length. I can't quite put my finger on the difference. Maybe it’s how much a reader contributes? Susan’s publisher: Yes, our version of the short short form (which we call ‘microlit’ and which encompasses prose poetry as well as microfiction) has an upper limit of 800 words. It was just an arbitrary limit – but most publishers and writers’ comps will make similar kinds of decisions. Susan: Oh, yes, prose-poems. That’s another one. And in the foreword to Lydia Davis’s collection they even use ‘fables’ ‘observations’, etc. What attracted you to the form of microfiction? And how do you feel about the novella and novel as formats, would you ever be tempted to write a novel? I’d written poetry and short stories, so it seemed the perfect combo! I get to write a short story and I get to write it as short as a poem. I like working hard on language. Love working hard on language. As to writing a novella/novel, I am writing one! Right. Now. One thing I loved about Loopholes was the way you managed to create stories with such depth and complexity in less than 250 words. They never feel cut short. That said, have any of your short pieces – or the characters or scenarios in them – ever developed into something longer? That’s very kind. At this stage I haven’t developed them into anything longer, but that's not to say I wouldn’t consider it. Maybe when I take a break from this dastardly novel writing. It’d be interesting to see if they still speak to me or whether they’ve been well and truly put to bed. Since you also write short stories, how do you decide that a microfiction is ‘done’? How do you resist the temptation to add a little more information? When you revise, do you pare away as much as possible? I do pare away and pare away until I get to the core! In many ways cutting away extraneous matter is the easy bit – the words that don’t do much work. Deciding on which details to keep can be tricky. I read aloud a lot. This helps. Leave it, come back to it with fresh eyes/ears. Sometimes it’s just the word choice that I change. ‘Scared’ can be better than ‘frightened’ for e.g. Rhythmically. Susan, I thoroughly enjoyed your collection. So many of the pieces are handled with such skill: deft, subtle, surprising, chilling, original. I’ve long been a fan of your piece, ‘Hold-up’, which is in Loopholes, but now I find I have added to my list! ‘Disturbance’, ‘Rescued’, ‘Lights’, ‘Catch-up’. I agree with Mark, the individual pieces ‘never feel cut short’. I like your habit of ending with an odd, slightly jarring comment, such as in ‘Rear Window’ where you write ‘When would this heat break’. Such an ordinary sort of thing to say, and yet you seem to be able to invest it with a good deal of spookiness! Well done. I was wondering whether you have a favourite in Loopholes? Thank you for all those lovely comments! So ... a favourite out of 67 babies! I'm quite fond of ‘Loose Ends’ – I feel so sorry for Alan. I do like ‘Rear Window’ – that one took a LOT of work. ‘Mona Lisa’ – really happy the way that turned out from a fairly mediocre start. ‘Monoculus’ (I'd love to write more like this). ‘Well, then’ is another I quite like. With such a tight word count, the choice of title is crucial, I’d imagine. How do you choose them? Does your choice of title cause you to revise a story? Titles, hmm. Sometimes easy, sometimes not. But I do think it’s an opportunity to add depth to the story. If a title can take on a double meaning so much the better. For e.g. ‘Missing’ – she’s not only missing as in lost, but she’s missing the family as it once was. ‘Anchor’ – it's not only the anchor doorknocker, but it’s the anchor as in mainstay (the girl’s father). Then you have ‘Hold-up’ which is just a hold-up so, yeah wow, not very clever. From Susan’s publisher: We often get asked by entrants in our microlit comps (200 words max) if we will count the title. What do you all think? Susan: I don’t think title should be part of word count. Others? That’s interesting though! If it’s a really long one – could make part of the story! ‘Burden’ is an interesting one. Made for a bit of discussion if I remember – whether to include or not, right, Bron? Susan’s publisher: Yes, ‘Burden’ gave us much cause for deliberation. It was such a confronting scenario – the wife needing to share the burden of her husband’s violence to women. See, how subjective publishing is! Susan: Just caught these comments. I’m glad it stayed. I am still curious about the process, Susan. How did the rich variety of subjects come to you – given that you set yourself a goal of writing a story each week for a year? Did you need prompts, or did the characters and situations arise spontaneously. How did you finesse these little gems? I think the key is that I wrote a piece a day and could take lots of risks. And the fact that only 67 made the cut from 365 shows there were a LOT of duds! I'm not a planner. I usually find the story by writing. On the other hand there were definitely days when that was difficult. Sometimes I open a favourite writer and pick a phrase and start from there. Or write about what’s in front of me (e.g. the cat). And of course I’ve said this before, but ‘Account’ was a transcription of a news broadcast! Tweaked slightly. There were definitely a couple of stories where I wondered if you’d witnessed a brief exchange in a cafe, or seen someone sitting by themselves at a restaurant table, and then imagined the scenario around them. I’m trying to think. I don’t think so. Or rather – maybe I had in the past and they were in my subconscious. I don’t think I witnessed and then wrote about it immediately. There was one story that was a real exchange, but I won’t mention it! Got me in trouble… Just realised I contradicted myself! So annoying. Ok, spill the beans, which one was the hardest to write? And which image or phrase is your absolute favourite? I can’t think which was the hardest right now. Although maybe one that took a lot of work was ‘Rear Window’. I still don’t think many readers know that’s based on the Hitchcock movie. But doesn’t seem to matter. How do you discipline herself to write a flash fiction piece every day? Because I’m an obsessive type! And I felt dreadful if I didn’t once I’d made the commitment to it! Haven’t mentioned this – it was a New Year’s resolution to write a piece a day in 2015.